Have a sweet tooth? 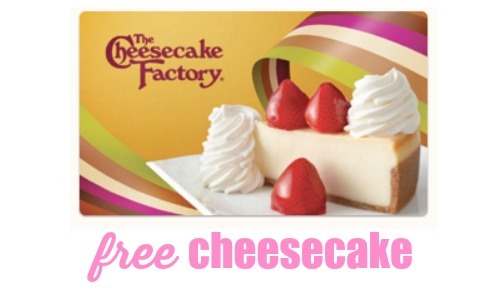 Today only 12/21, The Cheesecake Factory is offering (2) FREE slices of Cheesecake or Layer Cake for every $25 Cheesecake Factory eGift Card purchased online. Also, through 12/31, you can still grab a free slice when you purchase the $25 gift card (plastic card not eGift). Note your FREE slices will come in the form of an eSlice or Joy Card. Offer valid through today only for (2) FREE slices.